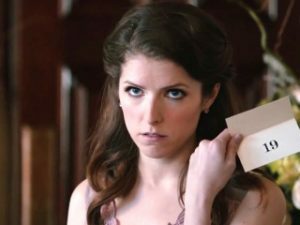 Blitz has a pretty good cast – Anna Kendrick, Stephen Merchant, Craig Robinson, Lisa Kudrow and June Squibb — but their lack of chemistry makes them rather unlovable throughout the 87-minute film. It should have been love at first sight with this group. After all, Kendrick was lovable in Pitch Perfect; Kudrow brought countless smiles in the hit TV show Friends; Robinson made us laugh in Hot Tub Time Machine; June Squibb has held in her own in numerous comedies including Meet The Coopers and Shamless; and Stephen Merchant created The Office. So how did this wedding movie go from what should have been fun to dysfunctional well before the bouquet was tossed? Simple. It had everything you don’t want to see at a wedding reception: not-so-funny jokes, awkward moments, uncool guests and newlyweds you know very little about. The story, like any relationship, begins with promise. Eloise McGarry (Kendrick) a close friend of the bride, gets dumped via text message by best man Teddy (Wyatt Russell) just weeks before the big day. Inexplicably, Eloise, who planned much of the wedding before the break up, is relegated to Table 19, where she’s grouped in the back of the room with five denizens who the bride and groom hoped would have RSVP’d differently. Bina (Kudrow) and Jerry (Robinson) Kepps are a married couple whose friendship with the groom’s father has waned through the years, while Walter Thimple (Merchant) is a cousin who was given a weekend pass from prison, where he was sent after embezzling money from the bride’s father. Jo Flanagan (Squibb) was the bride’s nanny and then there’s Renzo Eckberg (Tony Revolori), the horny teenager who simply wants to hook up with any girl who will speak with him. Kendrick, with more issues than a magazine stand, is no dream girl. Her insecurity and infatuation with Teddy doesn’t come off funny as intended; they make the audience feel sorry for her. 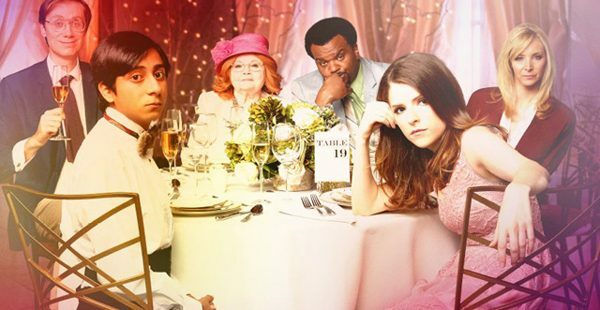 The rest of the outcasts of Table 19 are better as individuals than together, which is the exact opposite of what’s expected out of a marriage. Table 19 gives the audience a sense that it’s building toward something. But no crescendo is reached amid a cheesy wedding band cranking out 80s music while the older guests make fools of themselves. The movie’s plot is also as clumsy as Kendrick. The audience grows to care more about the Kepps’ disintegrating marriage than the one that just started or if Eloise and Teddy will get back together. While there are several scenes that prevent this movie from being a total divorce, it’s still a bad date.